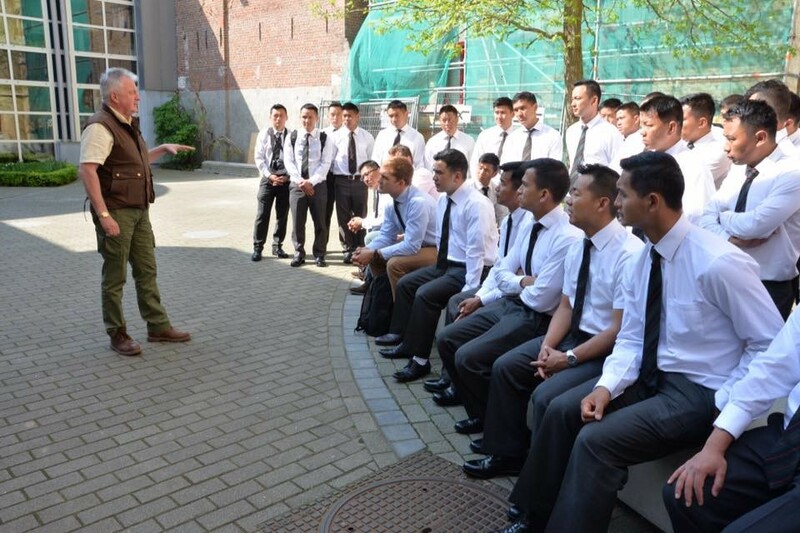 “History is like map reading- how do we know where we are if we don’t know where we came from, and how do we know where we are going if we do not know where we are?”- Maj Samuel Meadows, Officer Commanding Support Company (Sp Coy), 2nd Battalion The Royal Gurkha Rifles (2RGR). Sp Coy 2RGR deployed on Ex FLANDERS SUPPORT, a battlefield tour, on 9th May 2016 for five days to France and Belgium. They were accompanied and guided by Mr John Sadler BA (Hons), M.Phil, FRHistS, FSA (Scotl), an experienced historian and battlefield tour guide. The first site visited was Poperinge in Belgium where they saw the Ypres firing pole; a pole where soldiers convicted of cowardice were executed by firing squads. It was a poignant start to the tour and a reminder of the terror of war for so many. From there Sp Coy headed to Menin Gate. Menin Gate is a War Memorial in Ypres, Belgium, dedicated to the British and Commonwealth soldiers who were killed in the Ypres Salient of World War I and whose graves are unknown. The memorial is located at the eastern exit of the town and marks the starting point for one of the main roads out of the town that led allied soldiers to the front line. Each night at 8pm the traffic is stopped at Menin gate whilst members of the local fire brigade sound the Last Post in the roadway under the memorial’s arches for a remembrance service to those men who lost their lives in the Great War. Sp Coy witnessed the ceremony, and Maj Meadows and LCpl Amrit, the youngest soldier in the group, laid wreaths whilst the lament sounded in the background played by a pair of pipers from 2 RGR. 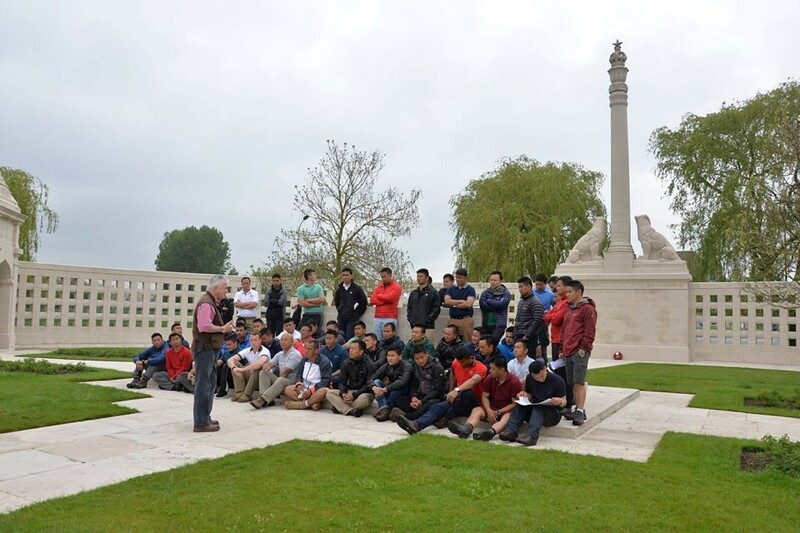 The next day the Gurkhas from Sp Coy visited La Brique cemetery to learn about fighting carried out there by the Indian corps. La Brique is a small hamlet named from an old brickworks that used to stand there before the First World War. Sp Coy received a tactical presentation and then discussed the assault on Mauser ridge before heading to Essex farm cemetery. Thousands of soldiers were buried there and an interesting fact about the cemetery was that the officers who died there, had their graves put by the graves of their soldiers. This was to symbolise the bond between officers and their soldiers. I beg to acknowledge receipt of your kind letter dated 26-12-14 which I received this afternoon. I, with all of the men of the 1/3rd Q.A.O GR, are always praying The God for your early recovery and have much hope that The God will very kindly send you soon to the field to command on us, and we all very anxious to fight with Germans with Kukris and Bayonets commanded by you. I have shown your letter this afternoon to the men of the 1/3rd GR and every man was so pleased to see your letter that they have received the treasure of the whole world. We, the men of your Battalion are doing well and I will always try my best to maintain the good name of the 1/3rd Q.A.O GR. The above missing men with the exception of the Rn Santbir Gurung were killed but there being no sufficient proof, shown missing. I detailed Havildar Nawal Sing Rana with 3 men to pull out Rn Santbir from the mud but the Havildar informed me he tried his best, assisted with his 3 men, but could not get him out. When I was on the left we (were) ordered to retire so I was the last man to retire from the trench. Rn Bagat Bahadur Gurung (your orderly) says he helped you, not at the immediate place where you (were) wounded, but afterwards and a stretcher was also brought at that place for you. Sir, we all the men of your Battalion request you that you will very kindly favour us with a letter informing about your wound, I hope Maim Sahib and Babas are alright. I conclude this with our best Salam and praying The God for your immediate recovery, I beg to remain Sir. As soon as the reading of the letter was finished they looked at the list of 3rd QAO GR and found that unfortunately both Rfn Santbir Gurung and Rfn Bagat Bahadur Gurung were killed in action. This letter shows the strong family bond that existed between soldiers and officers of the Gurkhas as it does today. 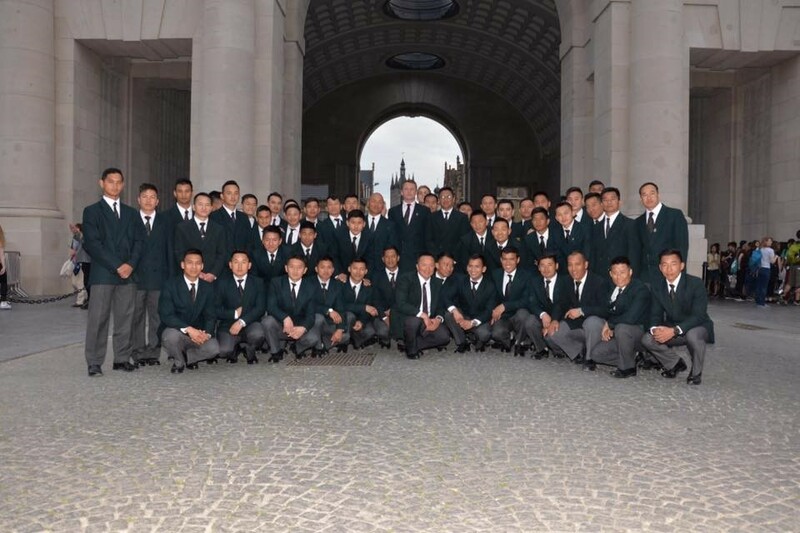 On the fourth day of the tour Sp Coy went to Festubert, Givenchy. 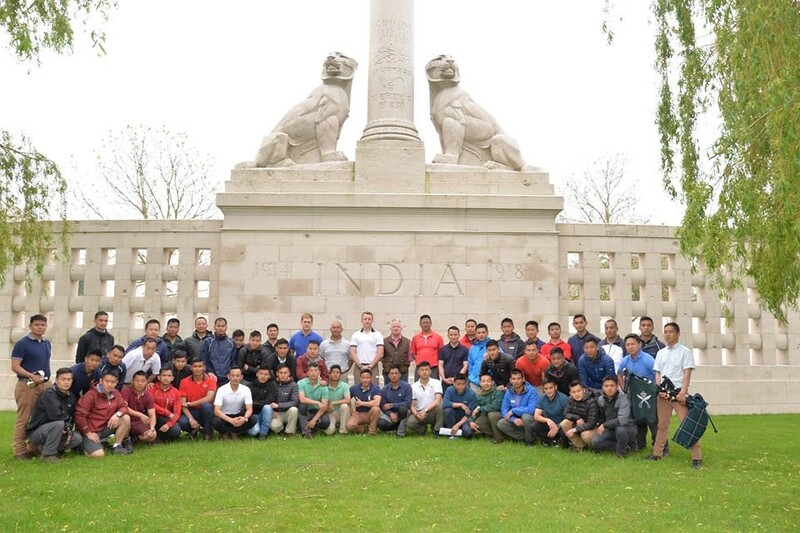 This is where Gurkhas of the 2/2nd Gorkhas and 1/1st Gorkhas were involved in heavy fighting with the Germans in the trenches. The battle was so significant that it changed the face of the war. As Mr. Sadler said, the Gurkhas were tested during this battle; and utilised their kukris to great effect in the narrow trenches where wielding a bayonet would have been difficult. The last day of the tour, Sp Coy visited Langemark German Military Cemetery at Ypres Salient in the Belgian province of Western Flanders. Here, over 44,000 German soldiers are buried, including in one mass grave are over 10,000 soldiers. 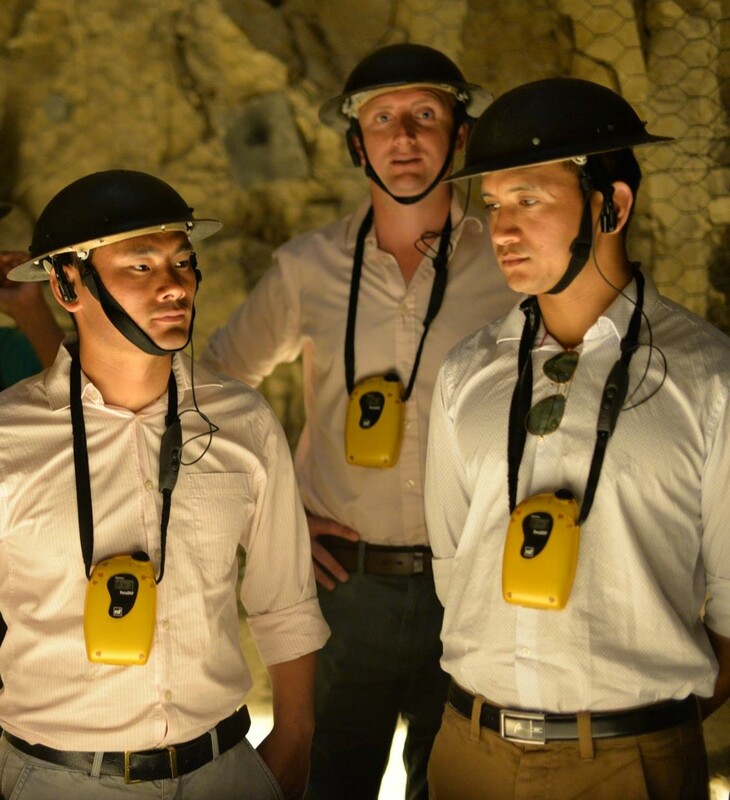 They then visited Wellington Quarry – la Carriere museum in Arras city, France. This museum is founded in the memory of thousands of men of the British Army and Dominion Forces who lived under the city during the Great War of 1914-18. 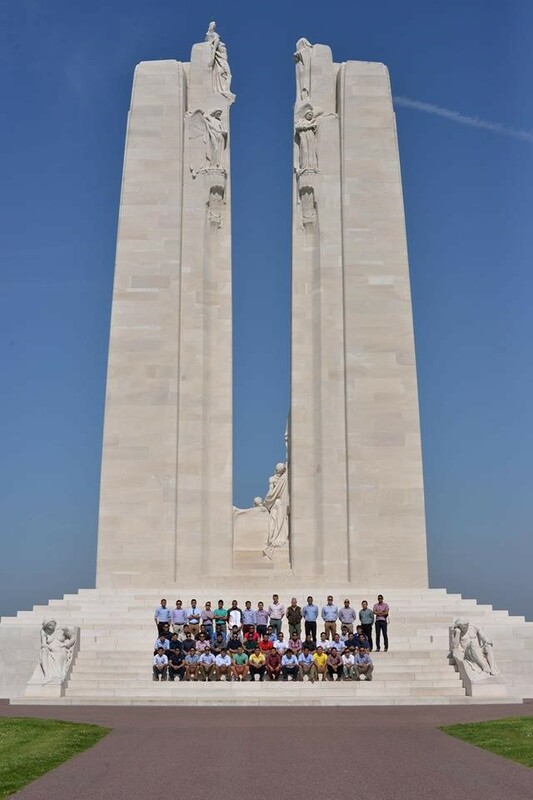 Lastly, they visited the Canadian National Vimy Memorial in Vimy, France. This is a memorial dedicated to all Canadians who served their country in battle during the Great War of 1914-1918. 60,000 Canadians were killed. Over 11,000 of those killed died in France but they have no known grave. The Canadian National Vimy Memorial bears the inscribed names of 11,168 missing Canadians, killed in action in France but whose remains have not been found or identified. Sp Company learnt an awful lot from their Battlefield Tour and would like to express their gratitude to Mr John Sadler for providing such a great tour and for giving them an invaluable insight into their military history. Many thanks to Cpl Ajit Thebe, Sp Coy, for his contributing article.